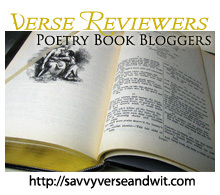 Welcome to the 129th Virtual Poetry Circle! scratched by the skater’s multiplying math. Beset, I play this game of tic-tac-toe. Divide, subtract. Who can tell if love surpasses? a hectic night of goats and compasses. one X equals a fall I’d not forgo. Are ice and fire the integers we’ve got? a way to walk on water and not drown. I really like the last stanza, but the rest of the poem confuses me. Just stopping by to wish you all a very Merry Christmas and all the best in the New Year Serena! Ahhhh … the visuals this poem evoked were simply wonderful. Thank you for sharing it, Serena. Holiday blessings to you and yours! I can’t say I understand much of that poem! But I also wanted to stop by and say have a wonderful Christmas and hope your Christmas dinner is fabulous! Serena…Wanted to stop by to wish you a wonderful Holiday; hope it means special time with family and friends.